After the collapse of the Communist Bloc in 1989 and the subsequent evaporation of economic support from the Soviet Union, the people of Cuba had to develop creative, alternative sources of income to support their families. Many citizens opened their homes to tourists to supplement their state-regulated source of income. Thus, the casa particular, literally, “private house”, was born. 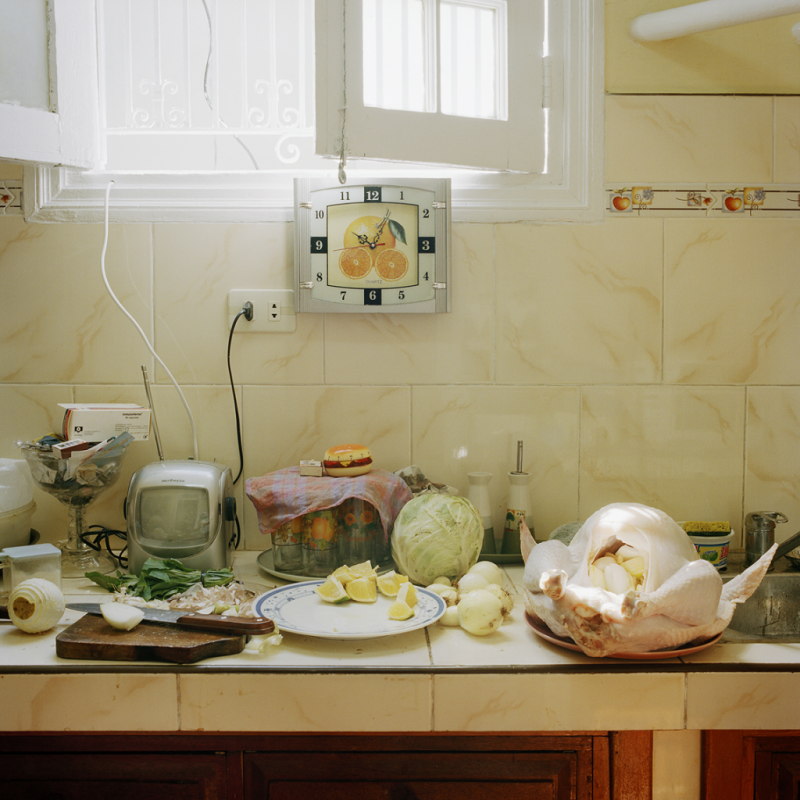 American Thanksgiving is a still life from the series I have been working on for three years. This piece represents just one Cuban casa particular in the Western part of the country and it attends to a way of life where the previously private home becomes a business. Simultaneously it acknowledges an undercurrent of formality as well as an inherent sense of familiarity. The image attempts, in part, to capture cross-cultural differences and similarities and to mark a shift from “pure” communism to a nascent, hybrid economy. I am an artist currently living in Columbia, SC, while teaching Photography at the University of South Carolina. I’ve been honored to show my work all over the country from Boston to San Francisco and was recently named one of PDN’s 30 New and Emerging Photographers to Watch of 2013.